The family computer… it used to be a big box that sat on top of the desk, with an even bigger CRT monitor on top. The monitor was probably only 15″. Well, this is unless you were lucky enough to eventually upgrade to a 21″ CRT monitor. And with the 21″ weighing over 40lbs, that size was heavy enough to anchor a small boat. With all that size and weight you probably had a rocking fast (NOT!) 1GHz processor with 8mb of RAM. Ahh…. those were the days. 🙂 When we were kids computers were not yet an integral part of school. I did take a class or two as a child, but we did not use them in school. It was not until high school that we had a computer lab where we could have a full class. 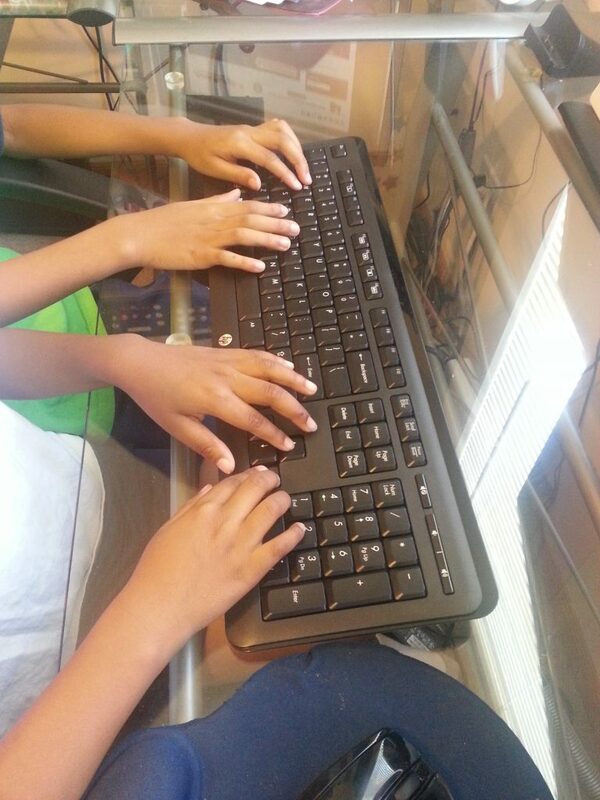 Fast forward to now… kids are engrossed in technology. 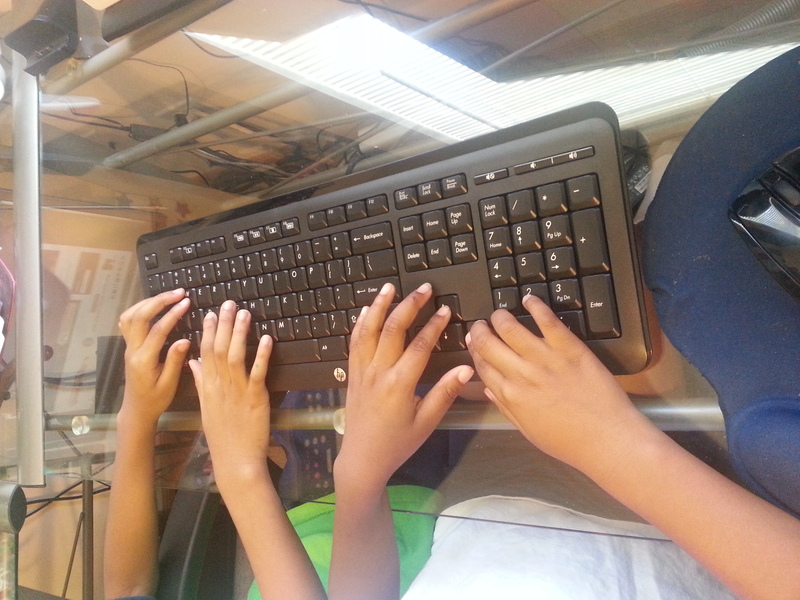 My boys who are only 6 have been using computers in school since pre-k. They have computers right in the classroom that they use for school work. 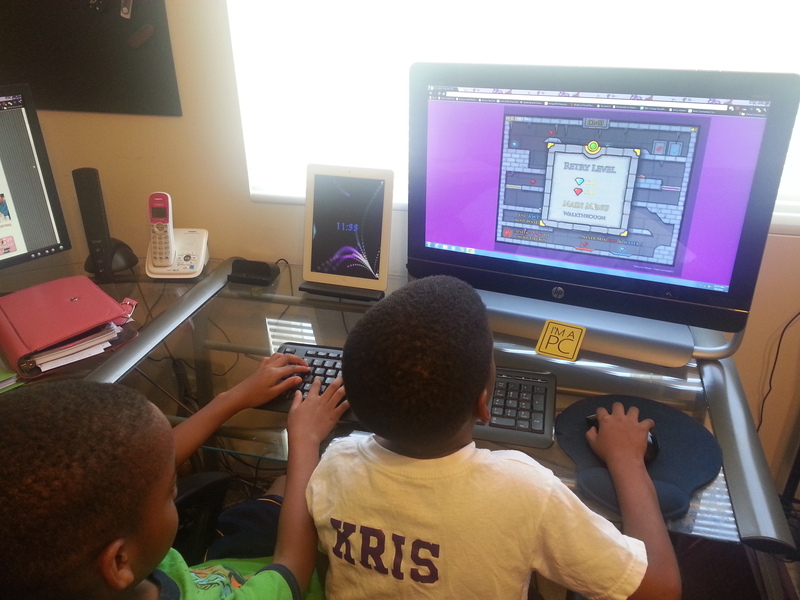 There are a number of educational websites, programs, and games that help them learn. When your kids are home you want to continue their education. This means reading, writing, match, science, and technology. All of this can be helped with the family computer. The family computer is so much more than it used to be. Thanks to technology advancements computers have come a long way. Unlike old clunky desktop computers that needed a separate monitor, boxy slow modem, and 7 different cords to hook it up, you can now get it all-in-one. The HP Envy 23 is an all-in-one computer that packs a punch. Although everything is integrated the specs are that of what you used to only be able to get in a powerful expensive tower computer. The 23″ monitor provides a large, clear crisp HD picture, and with 8gb of RAM and an Intel i5 Processor running at 2.8GHz you can multi-task til your heart’s content. And with a starting price of only $949, it will not completely drain your wallet. When ordering from HP you can choose to customize your computer and opt for a faster processor, more RAM, bigger hard drive, advanced video card, and much more. But, even the default configuration presents a nicely spec’d machine. So far we are really loving this machine. I love that it came with a wireless keyboard and mouse. Although it does use a dongle, it is conveniently hidden under the back mounting panel in an additional USB port so that it does not occupy one of the accessible USB ports. It is a full sized keyboard with a keypad which makes me happy. The 23″ screen is outstanding. The computer can be tilted to adjust for the best viewing angle. And it comes ready to be wall or bracket mounted. Watching a Blu-ray movie in true 1080p is a pleasure. With it’s large screen it would make an awesome addition to a bedroom to double as a television. Since the Envy 23 is lightweight and wireless it is easy to move it all over the house for family use. Move it around to watch Netflix, Hulu, do homework, or play games. The only con that I can think of when using this machine is that since it is an all-in-one, most things are not easily upgradeable. However, with these specs it is not likely that it will need it. By loosening 3 screws and snapping off the back panel you can gain easy access to the RAM slots and hard drive for service and upgrading. When ordering, I would suggest pumping it up with one of the better video card options since that cannot be easily upgraded later. 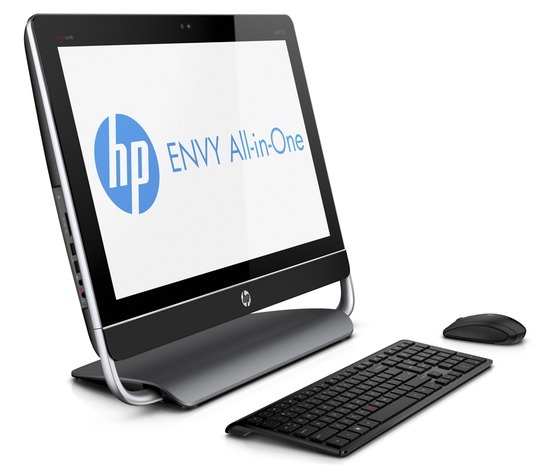 The HP Envy 23 starts at $949 on the HP website before customizing. It is definitely a powerhouse machine that can be used for homework and entertainment in your home. Disclosure: HP provided me with the HP Envy 23 in exchange for this review. Aptly named the ENVY, will sure make other desktops envious.